Johnny Cash once sang about a quest to acquire a cheap car by “accumulating” parts over many years. He snuck parts out of the factory in his lunchbox and when he had enough, fit them together like a 3-D jigsaw puzzle without a picture on the box. With the help of his buddies and some improvisation, his mismatched car was cobbled together and made the cruise to the courthouse to be titled. While not a perfect comparison, “Old Brown” is the sort of vehicle that does inspire country songs. 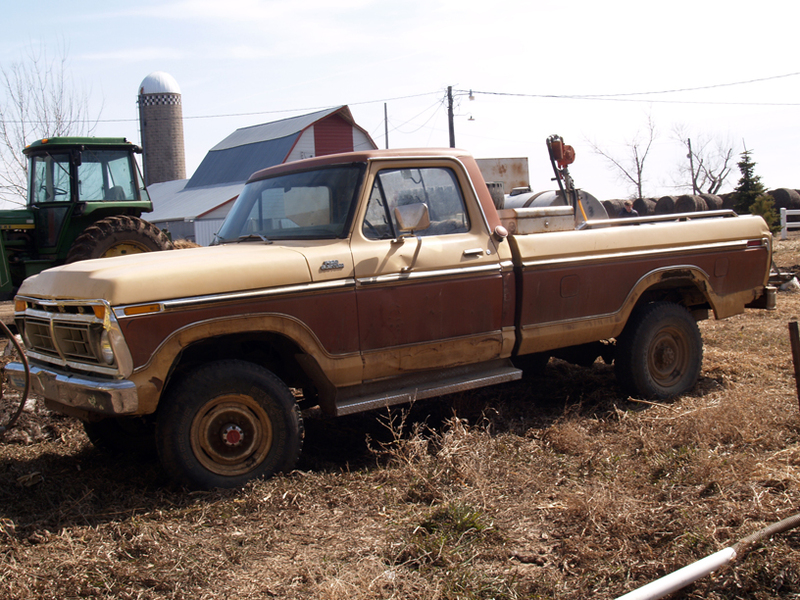 Old Brown is a 1977 Ford ¾ ton pickup truck. At least it was originally built from 1977 parts. A rather remarkable number of memories from my childhood on a South Dakota dairy farm revolve around that old pickup truck. It is probably no “accident” that many of those memories ended with Old Brown needing one or more replacement parts. If we have our inventory straight, and I believe we do, the last original part was replaced in 2000, but I’m getting ahead of myself. If you want to read more about the adventures of “Old Brown”. I will add future posts under “Farm Trucks“. Some parts wore out due to natural causes, but others had a much more dramatic and interesting end.